Thank you for such a great post, with so many resources. It’s tricky for me, with our girls in public school, and they are hating math – but maybe if in the evenings we just play with it, they will come to appreciate it, and understand more at school. Fingers crossed! Absolutely, Marie! After I’d finished this I actually thought that I should have mentioned public-schooled children but the post was so long already I didn’t get around to it! I think once we as parents know how much fun real maths is, we can share it with our children no matter what else is going on. Also if they realise that the dry procedural stuff is not “real” maths it can help with their maths confidence, which can be a big issue, especially for girls. 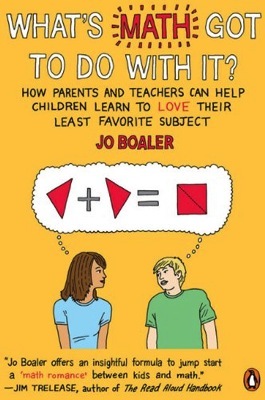 The Jo Boaler book talks about why school maths fails girls, I really do recommend it. You explain things phenomenally well Lucinda. 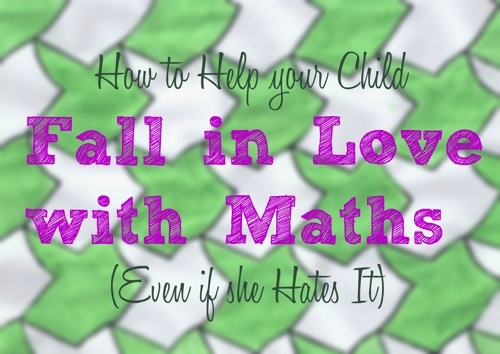 You have a real knack for these instructional posts and I’m sure many more mums will be considering living maths as a viable option for their children having read this post. Thanks for the big compliments, Claire! I love your polite way of describing me getting on my soapbox, too, LOL! A great and worthy post. I agree with it one hundred percent. Thank you so much, Phyllis. I really appreciate your kind words. I would love to be a fly on the wall at your house. I’m having difficulty moving from the concepts you are sharing to the actual execution. I love your schooling methods; I just don’t know how to make it work yet in my house with six kids. Two are teenagers and the youngest two are six and four. Hi Marla, I suspect if you were a fly on our wall you would feel a lot better about how you’re doing! How our school looks at the moment is: (1) we spend at least half our time out of the house doing C’s activities or J’s therapies, (2) my children spend most of the time we are at home doing their own thing, (3) I’m almost embarrassed to admit the small amount of time I spend actually doing things with them! But in that small amount of time we seem to manage to fit in the “big rocks”. With our new approach I’m finding myself with much more time on my hands than I’ve had since we began homeschooling. I am of course completely unqualified to give an opinion on how to homeschool six children using any method! But I was very inspired by Cathy Koetsier who I was lucky enough to meet recently – she home-educated her five children in a similar way to this. I’m also very inspired by Sue Elvis who writes a lot about unschooling her large family (though several of her seven living children have now left home). I really appreciate you taking the time to comment, Marla, because you’re giving me so many ideas to write about. I’m emailing you a copy of this – I’d love to hear from you if you feel inspired to let me have any specific questions. I just love this- thanks for all the great info and resources!!! I just spent 2 1/2 weeks in your part of the world- it was amazing!!! Very well said. 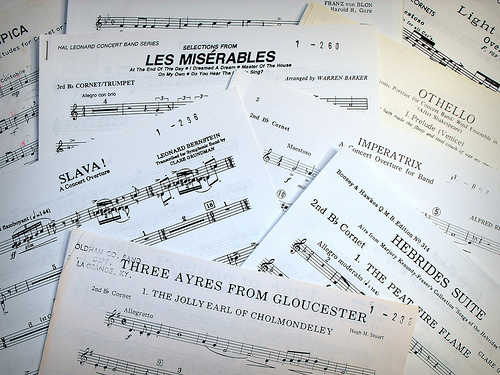 I love your analogy with music and would go even further to state that the creative encouraging method is best for all subjects. Our math curriculum has taken a much more creative turn this year thanks in a large part to your inspiration. We have taken a similar leap with writing and today my 6 year old told me it was her favorite time of day. This is great! 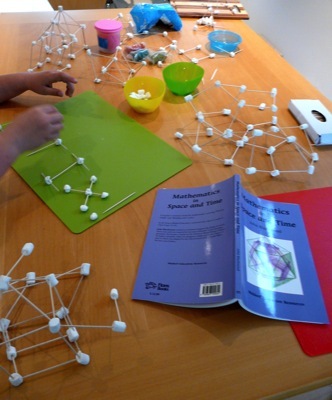 I wrote a post on my blog this last week about how we make math fun in our house. (You can find my Math Fun??? post on Hip Homeschool Hop, where I found your post.) You have some great ideas! I’ll definitely need to look into some of these! Thank you for sharing! Lucinda, this is so well said. I am with you about not learning to understand math until I taught it…and, oh how true that has been for many home education subjects! Thank you, Savannah. Absolutely – aren’t we lucky to have this second chance? A wonderful set of resources! 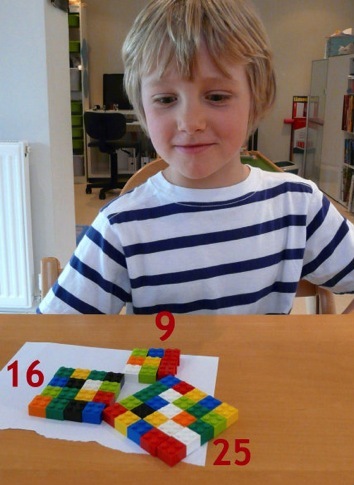 The author (a curriculum developer and teacher) shares excerpts of discussions with his son and daughter as they encounter numbers, shapes, or other mathematical ideas in daily life. Then he explains how the children’s comments reveal their thinking—what they have mastered and what they still don’t quite understand. And finally he gives suggested prompts for engaging in similar discussions with your own children. Thank you so much, Denise! Talking Math with Your Kids looks wonderful. I’ve added it to the post and to my reader! I love the title of your post! 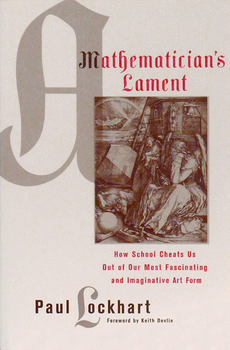 Maths is one of those difficult subjects for many homeschoolers. I’m sure your wonderful post will be of great help to those looking for a different approach from the usual text book one. You mention some interesting books and resources which I’m going to try and find. 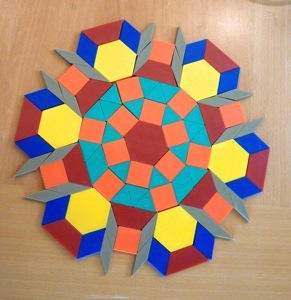 Thank you also for the link to my recent maths post! Also, I was reading the comments. 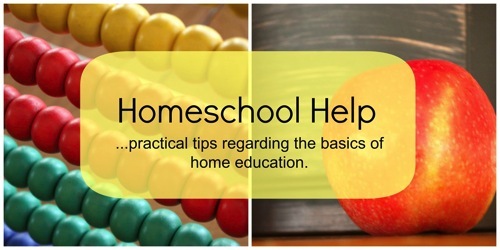 It was kind of you to mention me as a possible source of info for homeschooling large families. You are quite right that three of my children have finished homeschooling and moved on. Most if them are still at home though. Only one of my children has left home. The others are still here, involved with family adventures! Although Callum is working full time, Duncan is still studying. He is doing his Masters of Teaching at uni. Both boys don’t seem to be in a hurry to leave home! Thank you so much for your kind words about my post, Sue. You have been such an inspiration to me, I want everyone to read your blog! Thanks for sharing so many wonderful ideas for math! We just began using Math Mammoth a few weeks ago and it’s working well, but I will try some of these ideas to re-kindle our math enjoyment. I really liked Math Mammoth. I think it’s very clear and easy to follow, and it fosters true understanding rather than just following procedures. I hope you have fun with the games, too – they are definitely a good complement to Math Mammoth. I forgot to say that I am stopping by from THMJ! I was looking at ordering Mathematicians are people too books to use this next school year … I wanted to pick your brain how you used them first … Are there activities in the book to follow up with ? Thanks for taking time to share. To be honest we haven’t used Mathematicians Are People Too that much, and not at all recently. We just used it as living book to read aloud. The kids enjoyed the stories and I figure it increases their exposure to the great names and their stories and contributions to maths and science. The book doesn’t include activities, but I’m sure I’ve come across linked activities people have published on their blogs etc. Jimmie, for example, has a great Squiddoo Lens with printables based on it (actually looking at her lens reminds me to pull the book off the shelf!). Or if you just google the name of one of the mathematician you read about in the book you can probably find linked activities. Do give me a shout if you have any other questions about it. Thanks Lula for the link. I purchased Let’s Play Math and can’t wait to dig into it! I’m wanting to get on the living math road with my kids but at times I’m having a hard time knowing where to start … my teacher brain likes to have a clear direction. I’m thankful for your willingness to share! Side note … Here in Pennsylvania, the Dept. of Ed. and local school districts keep a tight reign on homeschoolers …but I just got approved to be a “private tutor” for my children (because I’m a certified teacher) which gives me more flexibility and less hoops to jump through. I’m excited! Congratulations on your Dept. of Ed. approval, that’s great news! Fewer hoops and more freedom to work in the ways that best suit our children is always a good thing! Hello, I am a teacher and the inventor of RIVAL 5 The Number Strategy Game. RIVAL 5 is a multi-award winning math game of strategy, skill and chance for ages 9-99. It is easy to learn and quick to play. It was tested on more than100 children and adults many of whom did not like math or had math anxiety. After playing they said they liked the game and would play again. Juvenile delinquents said this, “I like this game because it challenges your brain and you’re having fun at the same time. You need good mental math. Tristen C. age 13 “Rival 5 is a good, skill enhancing game. It is one of the few games that makes math an enjoyable pastime.” Noah M. age Homeschool mom “Rival 5 sharpens math skills for young and old alike. Educational and fun at the same time. 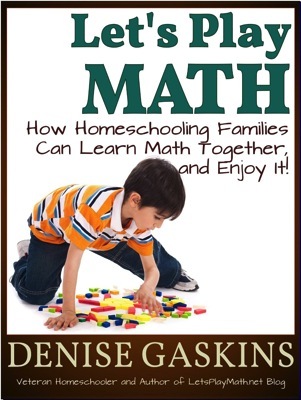 I recommend this for every homeschool family to fine tune math computation skills. It truly is an amazing game! “Leana W.